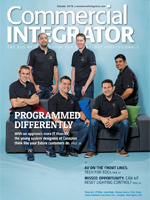 Integrators who install technology that end users won’t use or can’t figure out are only hurting themselves in the long run. 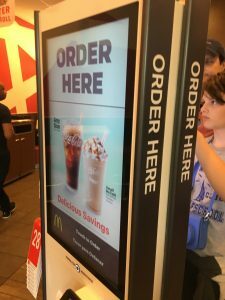 I’ve never been known by my family or friends—or people within the systems integration world—as a guy who’s on the cutting edge of technology, but you’d think I wouldn’t have any issues placing an order on a touchscreen kiosk inside a Boston area McDonald’s. I was on my way to a Red Sox game Saturday night and in a bit of a rush to meet my friend at the ballpark. For some reason, I had a craving for a quarter-pounder, so I followed my craving to the Golden Arches in Kenmore Square. It’s a short walk from Fenway Park, but I knew my time was short before we were supposed to meet. Little did I know I was walking into The Matrix. I opened the door and saw before me three touchscreen kiosks that I didn’t know at the time would lead me to be several minutes late. And I wasn’t alone. Hard to believe the multibillion-dollar clown-run conglomerate has been trying to patent the slogan, “The Simpler, The Better” given the struggles I and others there experienced. You’d think ordering a cheeseburger, French fries and a drink wouldn’t require any sort of training or advanced degree, but I was among many who were perplexed, and maybe overwhelmed, by the prospect of placing my order on a machine when, over my shoulder and behind the counter, were two McDonald’s employees who didn’t seem interested in helping us expedite the process. 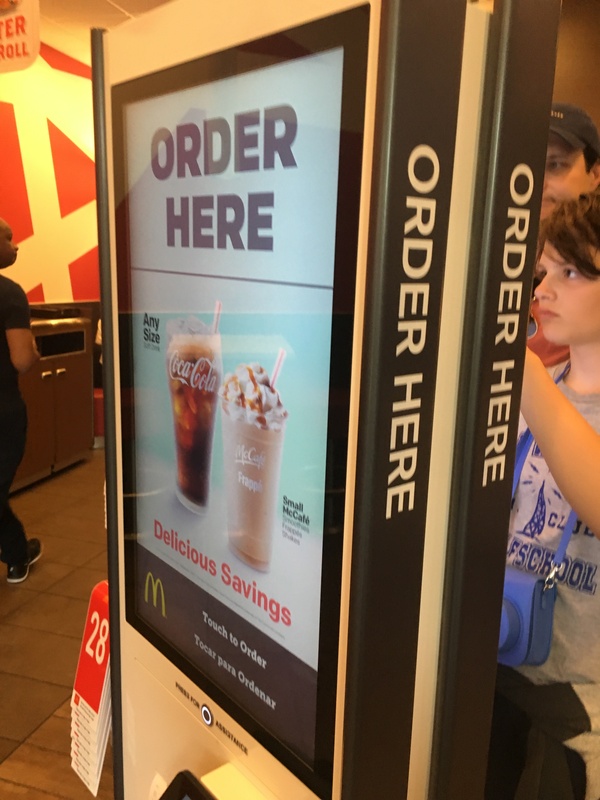 It literally took me several minutes to place my order, which seems counter-intuitive to the purpose of the touchscreen kiosks and the fact I was ordering food at a fast-food restaurant. Then the wait to get my food went for almost 10 minutes. I’m just glad I wasn’t the only one struggling to understand that a quarter pounder is considered a “large” sandwich in Mickey D’s vernacular. The point of all this is not to highlight my technological incompetence; there are better ways to do that, which many of you know and have seen for yourselves. 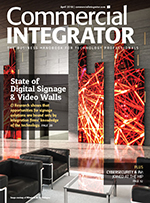 It’s to say integrators, and even end users, need to think about the impact of the technology they’re installing on the intended audience. 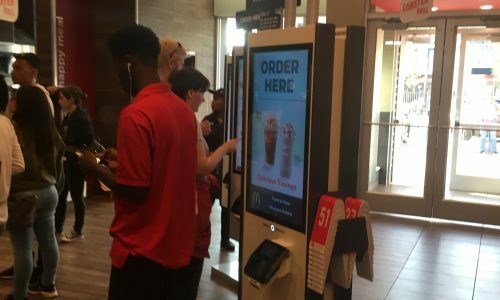 This McDonald’s—and thousands like it—are installing these touchscreen kiosks with the point of allowing customers to customize their orders and expedite the process, but the exact opposite was happening in my visit. I’m not planning a full-scale McDonald’s boycott as a result of my experience, but I will probably think twice about visiting this particular location in the future. Technology should be about making people’s lives easier and better, not about sending them through a frustrating experience that also bog down what’s supposed to be a more streamlined result. Do you dazzle your customers with fancy technology without thinking about whether they’ll actually be able to use it once you walk out the door? If so, you’re doing more harm than good to them. 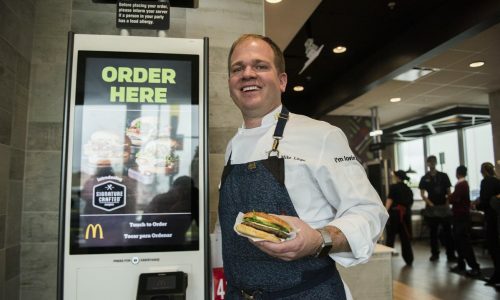 It doesn’t have to be a touchscreen kiosk in a fast-food place. It could be a control system in a board room or a video wall in a hotel lobby. If people can’t figure out how to use the technology you install for them, they’ll stop using it and eventually stop calling you when they need an upgrade. The problem I find isn’t the order kiosks themselves. Even when you have figured out how to navigate your way through them, the food production has become ridiculously slow. McDonald’s used to be the archetype for quick serve food service. Not anymore. The number of people waiting inside the store during peak times has become laughable. I waited 18min for a breakfast order and my order number still wasn’t posted to the “in progress” screen because there wasn’t any room left on the screen. There were 16 orders on the screen when I asked for a refund. Going to McDonalds used to be great when you’re in a hurry. Now, it isn’t even good if you’ve got all the time in the world. They need a major rethink. If I was a shareholder I wouldn’t be happy, at all. I learned today there’s no way to place an order that includes a paper coupon — such as what you get in the Sunday paper or in the mail — using these kiosks. No barcodes or codes to enter the coupons so that means placing your order with an actual person! Probably, the most boneheaded marketing move since Coke decided to change their original recipe some years ago. Totally agree with all the comments above and I would add one more. SANITATION!!!! Imagine the pathogens ready to jump from the screen onto your hand from hundreds of other customers who have used the device. Yuk!!!!! McDonald’s needs to take a lesson from establish online ordering companies like Amazon. I don’t know who these are designed for, but I shop online quite a bit, several times a week even. I’m used to all kinds of ordering and paying systems, but this one was baffling. Finding the item was one thing, choosing how many came somewhere after that, but trying to get back to order some more items was totally non-intuitive. Fortunately, there weren’t many people there (why use the kiosk at all? I though I’d give it a try). So, after a few minutes of fiddling with the ridiculous kiosk, I ordered “2 breakfast burritos, 1 hash brown, 1 large coffee with 2 creams” and paid for it in about a minute…or less. I agree w Michael! I’m not a germaphob but when I see the fingerprints and other material smeared on the screen why would I ever want to touch it? Disgusting. No hand sanitizer in sight ! I’ll wait in line for a clerk. And the kiosk definitely takes longer to complete an order. Lines form there just as much as the counter. Nice share Craig, I absolutely understand the scenario while reading this blog. End-users know what they want or what to search, so the more simple we make it for end-users the possibility of benefiting from technology implemented by businesses. 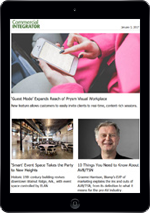 Businesses these days use “kiosk lockdown” solution to manage devices & tablets to set them in “kiosk mode” by setting policies right from a unified dashboard. I refuse to use the kiosk costing jobs to people struggling to get by. Yea I know the CEO’s need a fifth beach house and new yacht and keep those stock holders happy!! Kiosk not for me. They are pushing the kiosk very hard. Younger people may love them but they don’t realize soon they hamburgers will be prepared by robots and special orders a mess. Try to walk up to counter and get waited on? Forget it! Several people running around see you standing their and ignore you. Burger King or Wendy’s will be getting my business for fast and good food no longer McDonalds. Cleanliness is also failing more each day. I guess they’ll need to get some of those Wal Mart janitor robots for that. Good luck with that. They just ignore the customer.